The Islam Awareness Blog: Muslims being butchered in Jos in Nigeria? No other African city has the many blessings Jos has, from a European weather to scenery sights that leave visitors glued to its alluring nature. But to residents, Jos is no longer that peaceful enclave, but rather a home to bloody ethno-religious violence that brutalized its peaceful atmosphere. "I have lost all my sense of nostalgia and the idea of retiring to the serenity of the hills… because of the blood of innocent citizens that has been needlessly shed," Olayinka Oyegbile, a man in his late 50s and a senior journalist, told IslamOnline.net. Many like him believe that the central city has lost its tranquility because of the deadly violence that has rocked it in the past few years. Some 553 people, mostly Muslims, are believed to have been killed in four days of fighting in the central city of Jos and nearby villages. Residents lament that Jos was never a violent place but now it is a place divided along ethnic and religious lines. "Discrimination never existed here. As kids we attended mosques or churches alongside our childhood friends and nobody raised any eyebrow," recalls Oyegbile, who grew up in the city. "We were brothers and sisters. We ate and celebrated with one another, and there was no discrimination based on ethnic or religious groupings." Now instead of the welcoming notes, visitors are warned about imminent dangers or looming fighting. Instead of blissful breeze, the nightfall brings with it the fear of what will happen before the daybreak and everyone sleeps with one eye open. Police posts and checkpoints dot everywhere, including more than 20 within Jos alone. The checkpoints reach all the way to Kuru Kurama, a village some 35 kilometers away where 150 Muslim bodies were found stuffed into wells last week. "There are boundaries everywhere," says Titus Mann, Civil Liberties Organization (CLO) President. "Every one now minds his business." 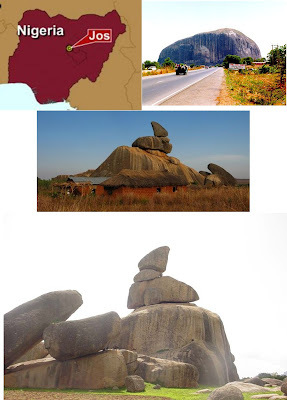 Jos is one of Nigeria’s most cosmopolitan cities, because of its diverse ethnic and religious populations. It has many ethnicities including the Beroms, the Noks - both considered the aborigines - the Yorubas from Southwestern Nigeria and the Igbos from the country’s South eastern region. Until 1994, when the so-called ethno-religious crisis emerged, Jos had been spared the violence that ripped much of Northern Nigeria since 1970s. But residents blame the loss of their peaceful life on what some call the indigene-settler syndrome that ripped the city apart. "The source of the crisis is the issue of indigenes and settlers," Segun Ojemuyiwa, who was born in Jos some three decades ago, told IOL. Some believe the seed of the crisis was sown with the creation for the Muslim Hausa-Fulani community by the military regime of Ibrahim Babangida a little over two decades ago. "The indigenes hate the Hausa settlers whom they accuse of planning to Islamize their fatherland," says Ojemuyiwa. Dung Joshua, a Berom man, says the anger in Jos flows from feelings by indigenes that the "Northern Oligarchy" wants to spread their tentacles everywhere. The Northern Oligarchy refers to the political influence of the Muslim Hausa-Fulani ruling class, as established by late renowned scholar Sheikh Uthman Dan Fodio in the early 19th century. "There is this jitters that they want to impose themselves on everybody." But Hausas like Uthman Audu, a 34-year-old cattle farmer, says the natives fear that they want to usurp their land, which is not true. "They insist you cannot build a house or operates your business somewhere because you are not an indigene," he said. "This discrimination is so prevalent. We are treated like second-class citizens here." Oyegbile, the senior journalist who is also a non-indigene, agrees. "Why should Nigerians go to Britain or the US and after spending five years become citizens and live freely when my over thirty years of sojourn in a part of my country cannot qualify me for any benefit because I am not an indigene?" He fears that until Nigeria, a multi-religious society with 50 percent of the population Muslims and 40 percent Christians, confronts its monster of religious and ethnic fanaticism, the episodes of killing innocent people will not stop. "No country can progress under such an atmosphere." Regardless of whether some individuals with religious extremism or tribal motives were responsible for the occurrence of such violence, which has cast its ugly shadow on the country's international image, the government cannot be exonerated from blame. Actually, the incident of Jos has once again brought to the surface some sort of political missteps and lack of seriousness on the part of government in rising up to the occasion and addressing this issue once and for all. The crisis also came at a very sensitive time for the country, which is already in a political crisis with the absence of its president, Umaru Yar'Adua, who is believed to have been receiving medical treatment in the Kingdom of Saudi Arabia for more than two months now. This has thrown the country into some kind of a leadership vacuum, though it has been recently filled by Yar'Adua's deputy, Goodluck Jonathan (1). So, it is not strange that some people are blaming this political crisis for the Jos carnage (2). Now that the situation is a bit calm and there is a call for investigation, the federal government has to show more seriousness and study the roots of this crisis, which has plagued the people of Jos for decades; without this, it will be difficult to reach any tangible solution, no matter how huge the number of military trucks deployed to quell the riots. Actually, whenever such crises beak out, it is a normal ritual of the government to come out and announce several security measures to quell the violence and assure the Nigerians that such escalation would never reoccur. But the fact that the occurrence of such carnage and violence is witnessed over and over again indicates flagrant flaws in the country's security system. Without this being fixed, fears will remain that what happened in Jos will eventually ignite the fire of backlash and reprisals in neighboring Nigerian states, like Bauchi, which is known for its volatility when it comes to ethnic or religious tensions. According to the local Daily Sun, Bauchi is always a ready place for reprisals. Even the Danish cartoon and Miss World crises generated reprisals there, not to mention Jos, which is close.